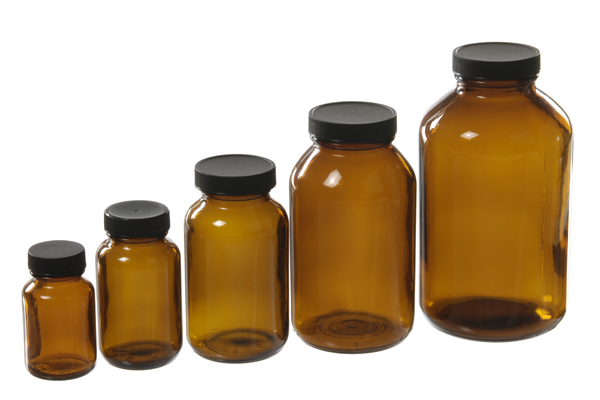 These amber bottles store and protect light-sensitive materials. Their large openings make filling and dispensing easy. Caps included. Sizes range from 2 oz to 32 oz.